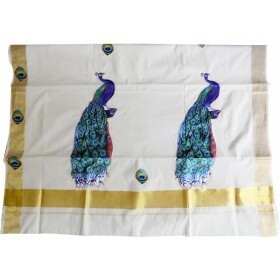 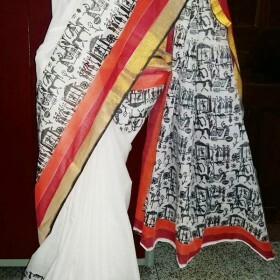 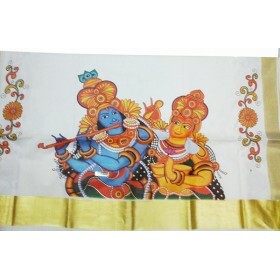 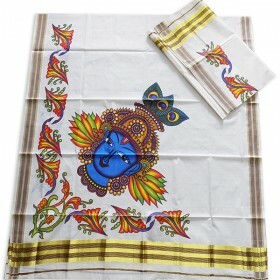 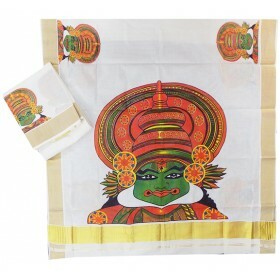 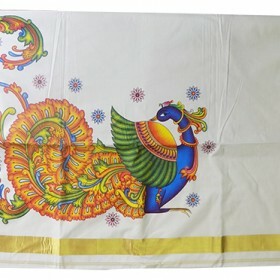 New traditional collection Kerala kasavu cotton saree having hand painted Radha Krishna in hanging floral design swing, along with golden kasavu border on pallu. 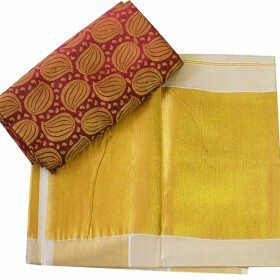 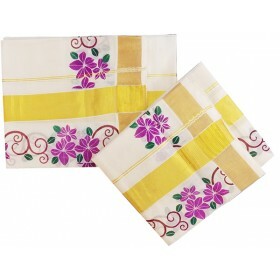 On the both sides golden kasavu with yellow shade and peacock petal hand painted design gives charming look. 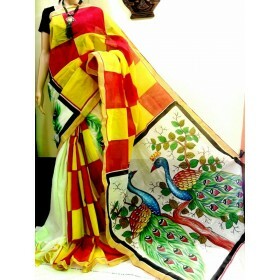 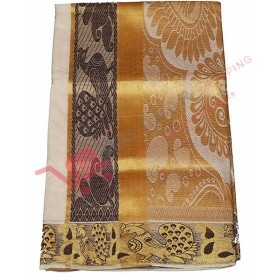 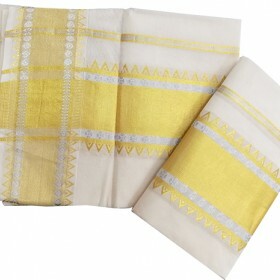 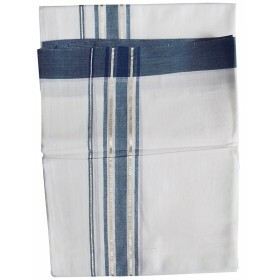 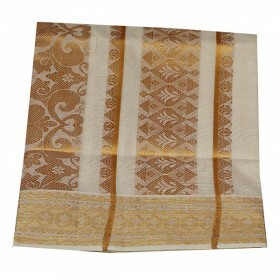 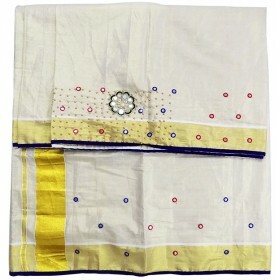 This is pure cotton handloom which makes gorgeous. 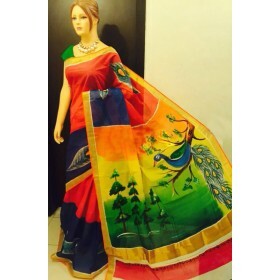 With matching jewel you look like princess. 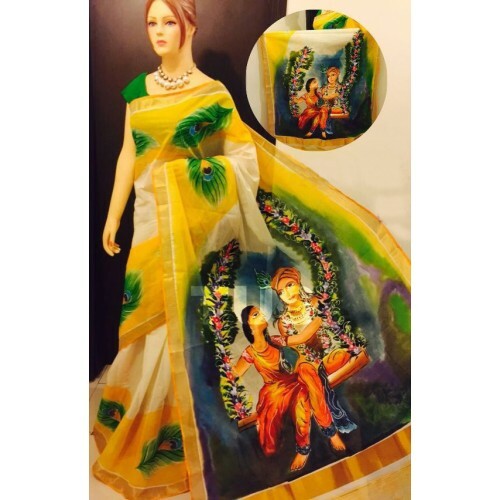 Plain green matching blouse comes along.